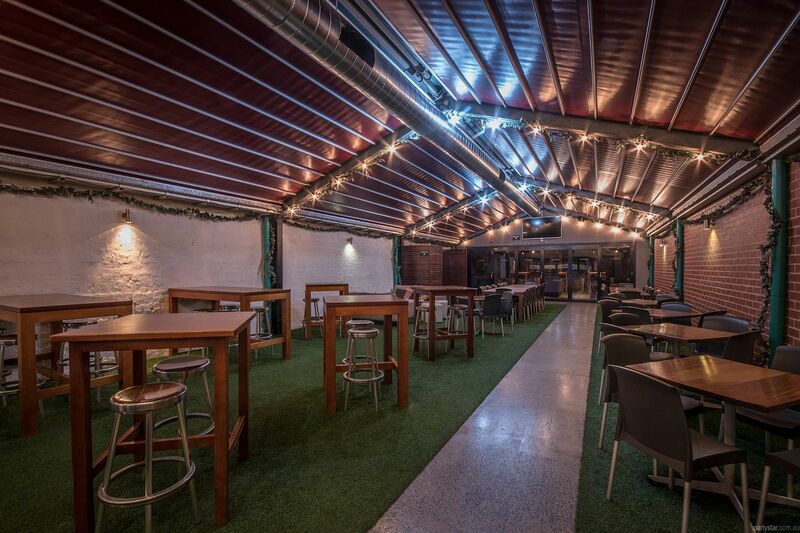 Established in 1878 in the heart of the Melbourne horse racing precinct, this prominent corner hotel is heritage listed and a popular meeting and party place. The stylishly decorated Atrium is the perfect indoor outdoor space for any kind of celebration. 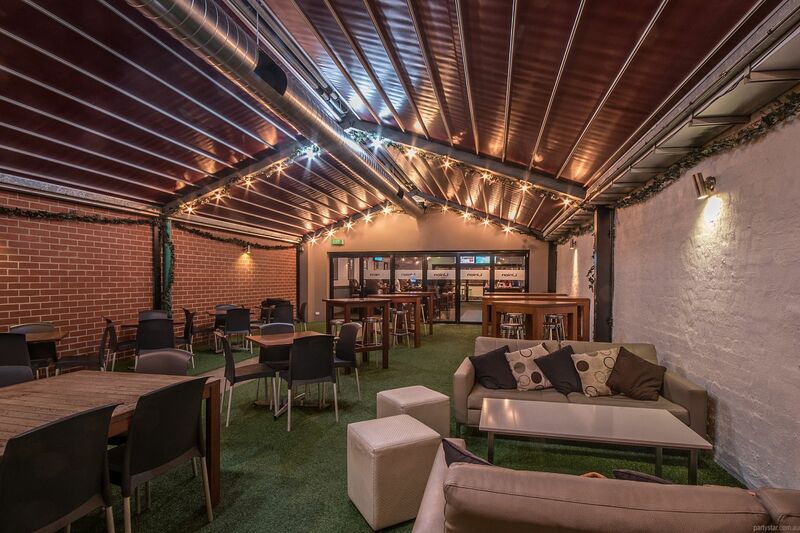 Conveniently located just behind the main bar area, it comprises a large heated party space with a retractable roof, and a paved outdoor area for alfresco drinks. 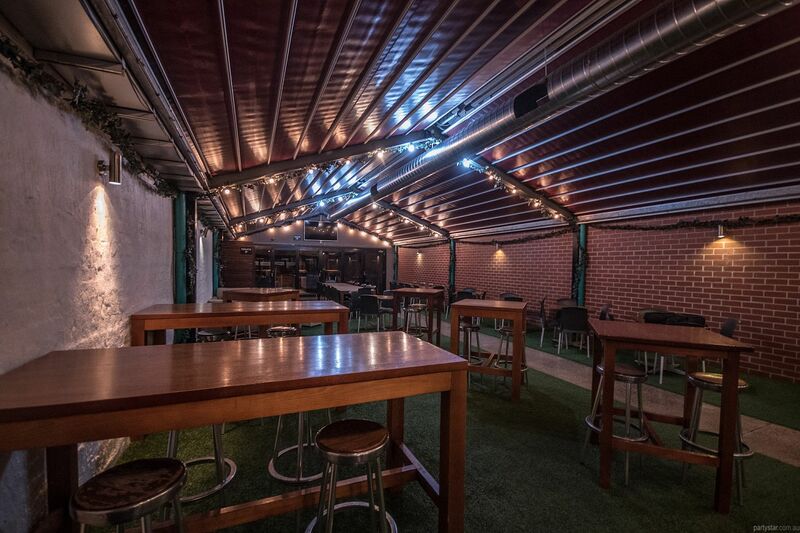 If it's a balmy evening, open the roof and party under the stars all night. If not, turn on the heater, close the roof and kick up your heels. Either way, this Atrium is an easy choice in any weather. Since it is one long room, your party will remain cohesive throughout the night. 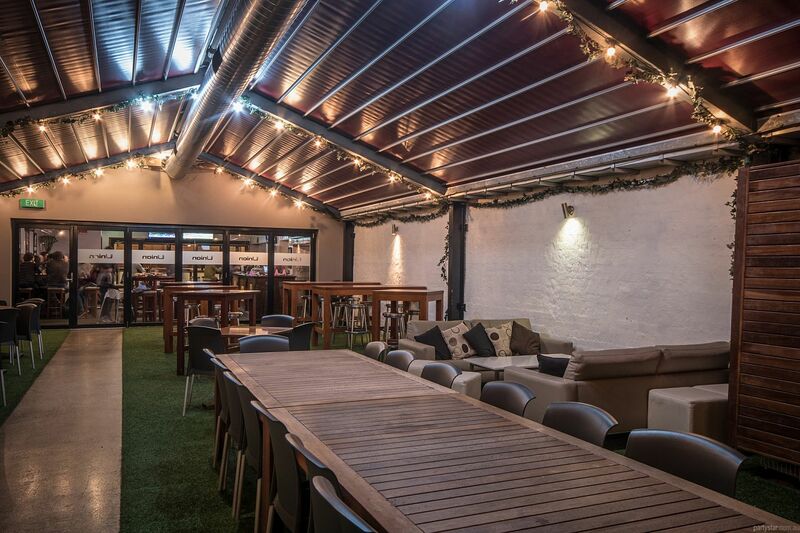 Drinks are available from the shared bistro bar inside, and delicious house made function food will be delivered to your exclusive function space. Play your own tunes and make the space your own. A professional dance floor can be installed from $200 depending on size requirements.